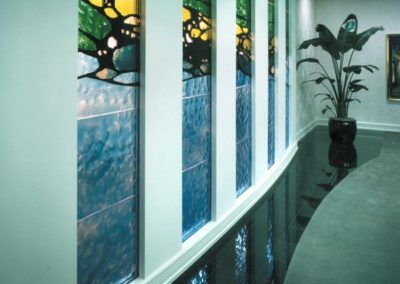 To design and fabricate a set of windows incorporating Leucos glass and conveying the appropriate mood to calm heart patients in this physicians’ office waiting area at Wisconsin Heart and Vascular Offices in Milwaukee, Wisconsin. 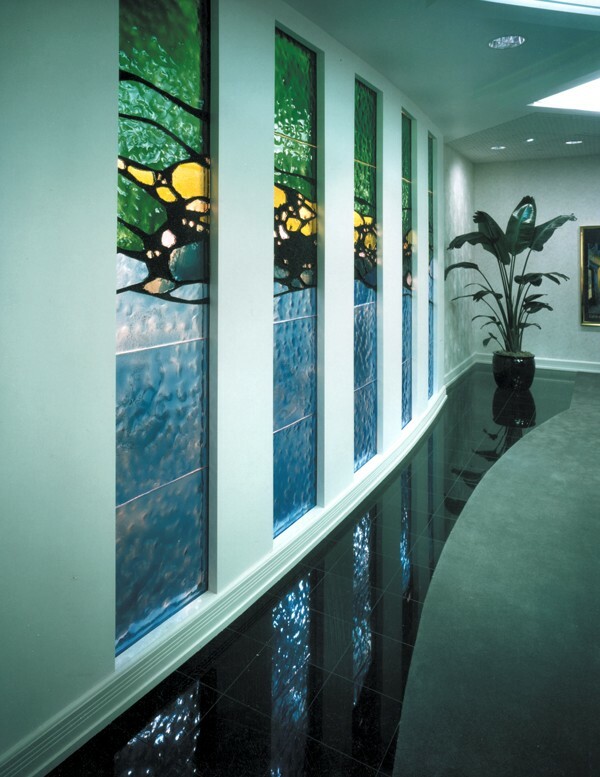 The backlit windows create an abstract design featuring thick pieces of faceted glass through the center, with blue and green Leucos glass above and below it. 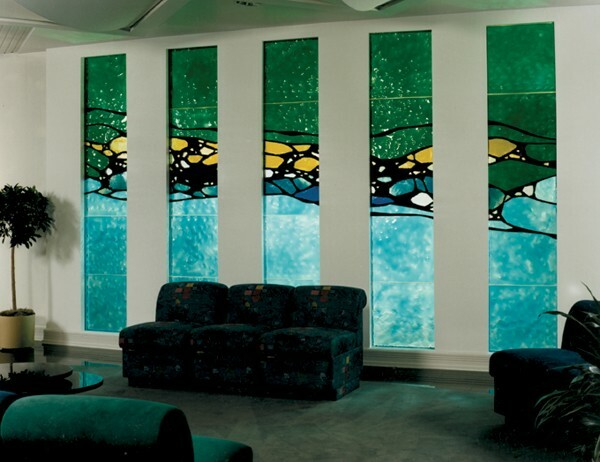 The physician who commissioned the artwork approved the design with the green glass on top and blue on the bottom, suggesting the soothing appearance of water flowing through the hills.